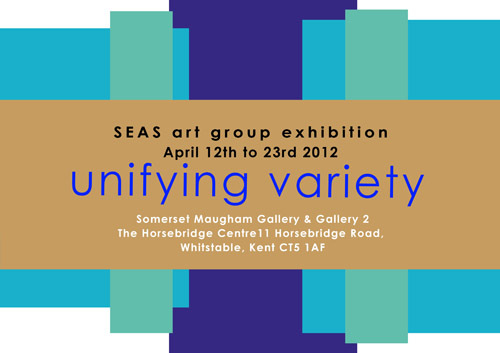 The SEAS group will be exhibiting at the Horsebridge this April. In a show that brings together and celebrates the diversity of their work and practice, where each artist will showcase work that represents their individual approaches to art. The exhibition opens on April 10th, with a ‘Meet the Artists’ preview afternoon on Saturday 14th April from 2pm until 5pm, when many of the SEAS group will be present. The exhibition will close on Monday 23rd April. There is free admission to both the Somerset Maugham Gallery & Gallery 2 space, which are open 10-6 daily. The work of SEAS artists is featured in an inaugural exhibition of art in the new Deal library display area. The exhibition will run from Fri 17 Feb for 6 weeks until Fri 23 March. The Folkestone Macmillan Art Show, is coming to Georges House Gallery, from Friday 17th to Tuesday 28th February 2012. It brings together a vibrant collection of work from over 40 talented, Kent-based artists with an affinity to Folkestone and the surrounding area. Georges House Gallery is located a few minutes from the picturesque harbour at the top of the seaside town’s famous windy, cobbled street. The gallery will be open 10am – 5pm every day for the duration of the show. Applications are now open to SEAS artists wishing to take part in SEAS Open Studios 2012. If you are interested please contact Marilyn Williams on 01304 363118 or marilyn@feet-first.co.uk or download a form by clicking here. 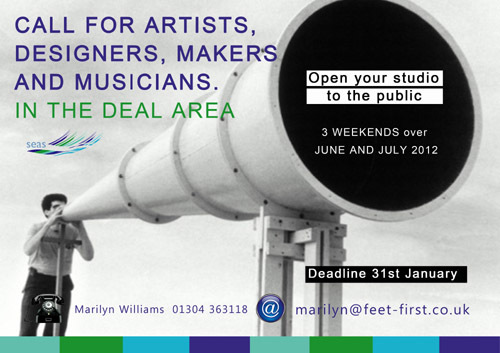 Are you interested in opening your studios to the public during the weekends of July? Its an opportunity for artists to show and sell their work. This is an annual event as part of the Deal Festival of Music and Arts which has already attracted a huge following in previous years. Closing date for applications is 28th Jan 2012. Free Entry and refreshments available. South East Artists (SEAS) Open Studios 2011 takes place over three consecutive weekends across the Deal area in Kent. 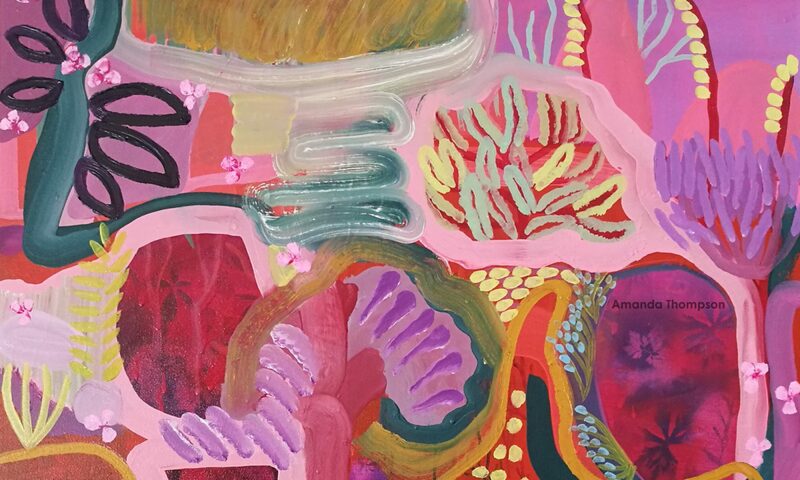 In this sixth year of open studios, artists are expanding as a group and exploring creativity beyond the confines of the studio, into their gardens, the streets, the beach and shop windows. You can download from here the accompanying guide book detailing the artists opening their doors and welcoming the public, in a convenient pdf format to browse on screen. The actual hard-copy open studios brochures are currently being printed and should be available in a couple of weeks time from the artists, local libraries, tourist information centres and a variety of outlets throughout Deal and beyond.